Barça Lassa missed out on victory against Herbalife Gran Canaria in domestic action on Sunday, trailing their opponents for most of the game. Despite notable performances from Huertel (25 Performance Rating) and Seraphin (14), the Blaugrana weren't able to avoid their fourth defeat of the season. The game started out at a frenetic pace. Both Barça Lassa and Gran Canaria looked to rack up points, and it was Heurtel and Sanders who contributed the most points and assists in the early going. The visitors were able to end the first quarter in the lead, however, closing out the opening period 21-23. In the second quarter, Barça Lassa's strong inside play took over, and Seraphin put six consecutive points on the scoreboard as well as running the rebound game. That took his team ahead for the first time in the contest, although it wasn't to last; an unanswered seven-point streak from Gran Canaria put Barça Lassa behind again. Former FCB players Rabaseda and Marcus Eriksson were among those scoring to give Gran Canaria the halftime advantage (37-44). The scoring dropped in the third period, and Sito Alonso's men fell foul of innaccury in their shooting and the aggressive defense of the visitors. 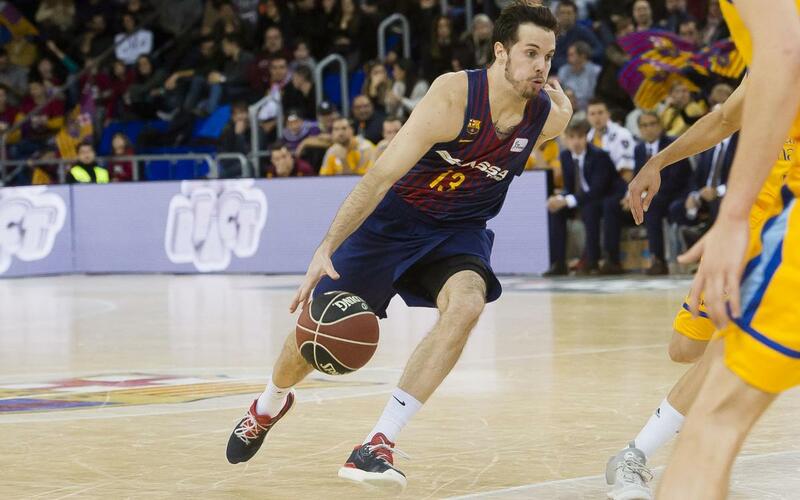 In the fourth quarter, Heurtel tried to rally his side, but it was not to be; despite ending the game with more recoveries and assists, Barça Lassa fell to a 77-88 loss.